So just got my 2006 registered and road ready and get ready for my first drive. I hear a loud short near the front of gas tank and cloud of smoke. 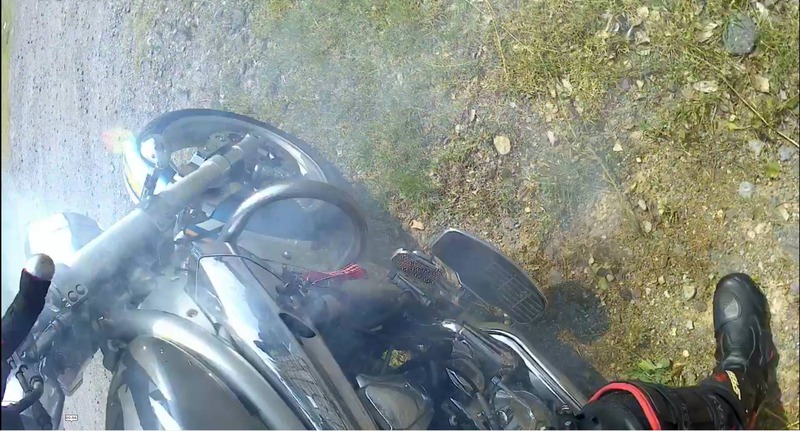 Killed the bike, grabbed an extinguisher but it was done smoking. Take the plastics off and can smell burnt electrics but don't immediately see anything. Checked the fuses, turned the bike on, dash, ignition, signals, horn, everything seems to work (I didn't check the fan I suppose). I'm about to pull the tank off and trace all the wiring and make sure the bike is charging with a meter. This is my first Hyosung and second bike, are there any usual suspects I should be checking? Thanks guys! Oh I'd also take recommendations on a mechanic down in Gwangju, Jollanamdo if anyone has one (all the bolts on this thing are stripped and plastics cracked from crap mechanics). Honestly you should be checking all of the electronics at that point. No amount of armchair troubleshooting is going to show you a shorted wire or non-functioning part. Typically the Reg/Rec goes on these but not usually with a loud bang or pop associated with boards letting the smoke out. They just stop charging. It would be better to do the work yourself. It sounds like the mechanics are not to be trusted in your area. Yeah, I'm an amateur mechanic and electrics are a special kind of voodoo. I suppose it's a good time to learn. 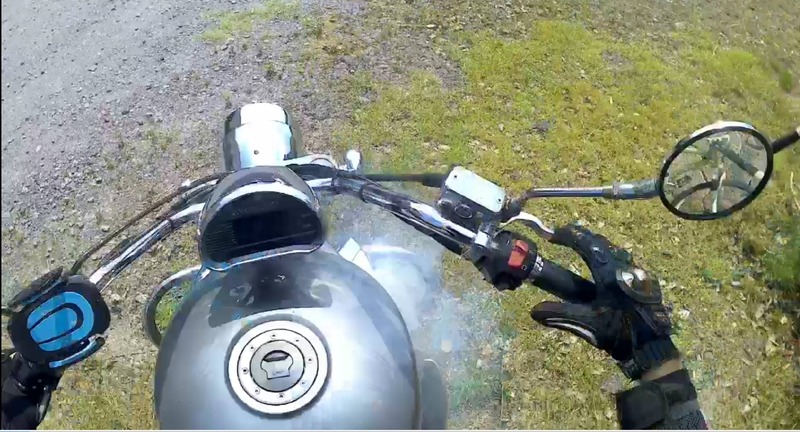 I was hoping someone with a little more experience might point me the right direction with what might blow during ignition. I'm just amazed that after the amount of smoke I saw the thing runs and no fuses blown. I feel like that should limit the possibilities but, once again, not really experienced enough to know exactly how. Thanks! start running through the harness, smell and look for charred connections and wiring. 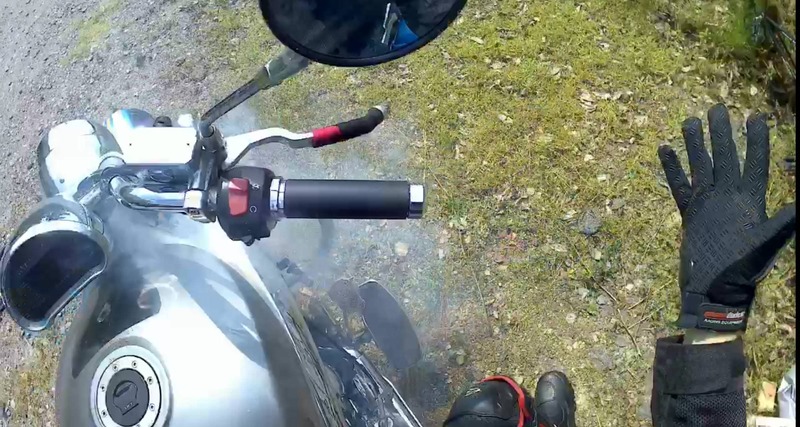 Start and front of bike, go to rear. If something lets out smoke its usually dead shorted. So could be fan that went. Enough smoke and the dead item will have a smell. Actually, check left side cover near fuel tank. Check that first. That is where a good chunk of electronics are housed for this bike. See this video for help. Thanks, that's the plan. I appreciate the advice. Check the OIL for a burned electrical smell. If so, likely one of the phases in the stator died. The bike would still run as per normal. Jesus. Are you sure that's electrical? You'd definitely smell it if it was electrical. There's no mistaking that smell. If you didn't get 'that smell', then perhaps it was a backfire through the carb? ..the mother of all backfires through the carb? Based on the location of the smoke, if it is electrical, I would guess that it's the radiator fan.